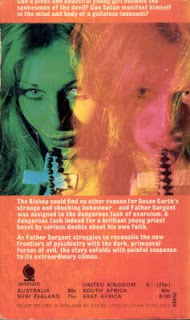 What was the deal in the 1970's (and late 60's) with the occult fascination? If you take a stroll back in time you'll see that there was a plethora of books, movies and other media dealing with satanism and the supernatural. Don't remember? Let's take a brief look. 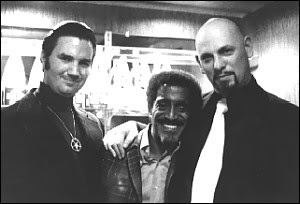 First off, a tell-tale sign that occult is going mainstream is when Sammy Davis, Jr. becomes a card carrying member of the church of Satan. Of the many satanic films to come out of the decade, there's a few that deserve special mention in that they were so absolutely demonic (in my humble opinion) that I felt like I needed to splash myself with holy water after watching them. One is The Sentinel. Now, I know the film overall wasn't that great (and true horror buffs are probably snickering right now), but the scenes where the denizens of hell are walking through the apartment, especially the final scene, chilled me to the bone. Escalofrío (a.k.a. 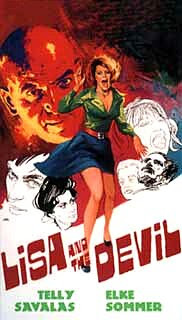 Satan's Blood) is another film that left me horrified - this time not so much for the over-the-top scares, but more for the overall satanic feeling that penetrated the entire film. Other lesser known, but no less horrific, are All the Colors of the Dark and Alucurda). Music also reflected the satanic wave of the times. 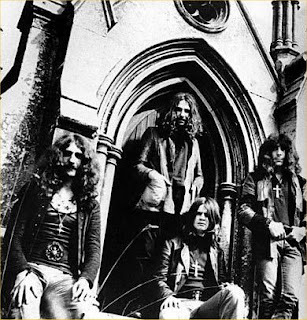 Black Sabbath, the grandfather of all horror themed bands began in this era. Other musicians like Blue Oyster Cult, Jimmy Page and even Heart dabbled in the genre. Stevie Nicks was called the "blond priestess of the occult" by Rolling Stone. However, the 1980's would be prime time for devil music (i.e. Danzig, "Shout at the Devil" by Motley Crue and "Number of the Beast" by Iron Maiden). 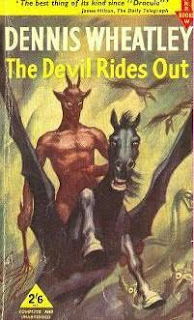 Books on the subject of the occult were quite plentiful (i.e. Dennis Wheatly, Colin Wilson, Willam Peter Blatty), as were comic books and even the Ouija board also had a boost in sales. 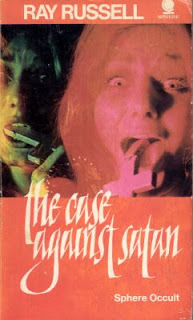 What was the cause of this growing interest and satanic paranoia? Not a damn clue. Could have been just a capitalization on big time successes like Rosemary's Baby and The Exorcist. Could have been a subconscious reaction to the Vietnam War (a growth in ghost stories and fairy stories occurred in England during WWI). Who knows? Regardless of the reason for it all, the end result was a lot of creative and brilliant entertainment that I'm awfully glad were made. 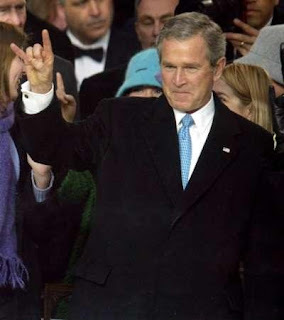 George W. Bush: One of Satan's minions... or Texas Longhorn fan? You be the judge. I may be a bit older than you and went through an "occult" phase myself in the later 70's. Not too spooky though. I had a couple early presses of Led Zeppelin III that had Aleister Crowley quotes etched into the vinyl in between the last track and the Atlantic label (you should do an essay on old record label designs). The A side said "Do What Thou Wilt" and the B Side said "SO Mote Be It". Later presses did not have these. I met Kenneth Anger once and he signed a copy of Hollywood Babylon to me To Bill, Do What Thou Wilt. Ah, all that stuff is long gone when I left the US for China, but they were nifty little nik naks while they lasted.